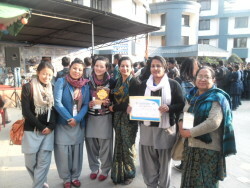 The Post Basic Bachelor in Nursing program (PBBN) aims to prepare professional nursing health specialist in midwifery, hospital and community nursing sectors with the highest possible technical and managerial competence in respective level of health programs, including problem identification, planning, implementing, training, health education, evaluation and research. Such specialists can serve in various types of positions at national, regional, Zonal, District or Local levels, such specialists will be needed in various kinds of governmental or non-governmental health agencies, communities, hospitals, schools and institutions. Planning, implementing, training, health education, evaluation and research. such specialists can serve in various types of positions at national and international level. Develop the leadership capabilities of nursing professionals in the management of nursing services at various levels’ health programs. Prepared to be able to teach at nursing school providing PCL\ANM level courses with application of educational psychology. The PBN curriculum mainly consists of following three specialized (elective) areas. There is a high demand of midwifery graduate nurse in the area of women’s health, infant care and the reproductive health care of the women. HMG has placed a high priority in midwifery care. Till now, this core area has not been sufficiently developed by any institution, hence, the course is the pioneer one. It is another major elective (specialized) area for nursing graduates. It aims to impart the necessary knowledge and the skills in the among graduates to provide health care and services at the community level and closely link with the public health policies and processes of comprehensive primary health care approach. This is another highly demanding specialized (elective) area for nursing graduates. The graduates with specialized knowledge in hospital nursing are expected to work, manage and provide health care services in the hospitals or any health care institution.